Glastechnik showers, shower cabins Berlin. 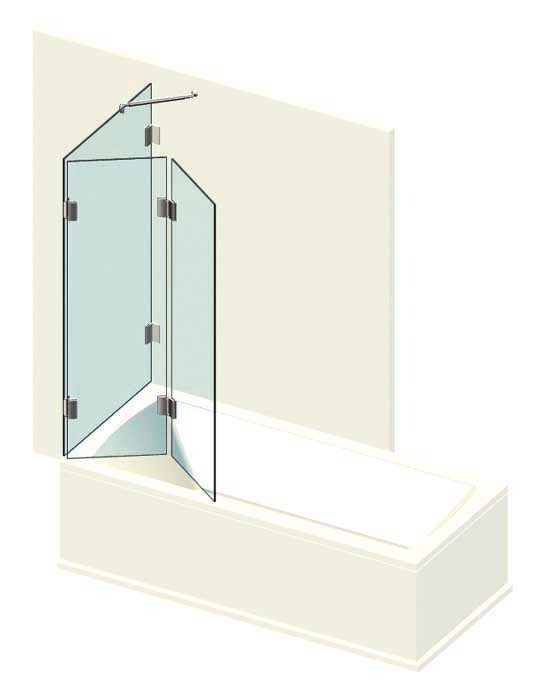 Niche shower, corner shower, bath screen. 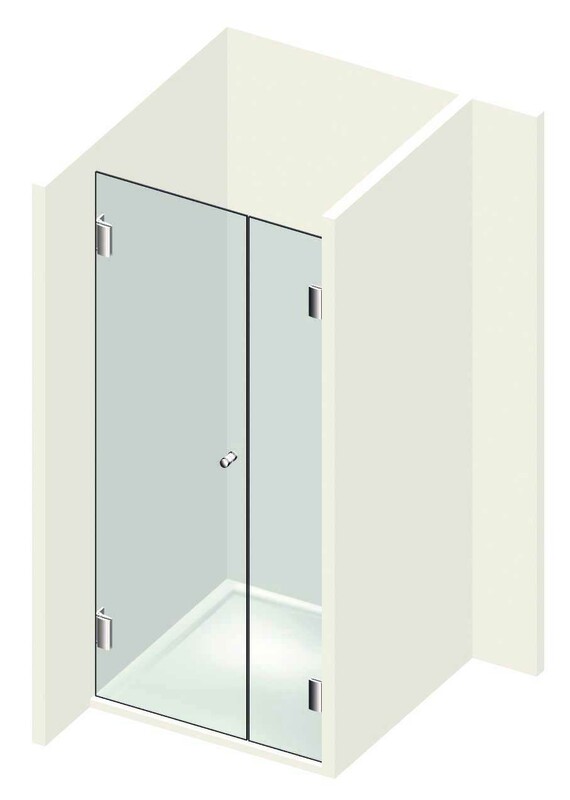 Glastechnik Showers, shower cubicles and glass partition walls. Individual production according to your measurements. You can send us a direct inquiry by Shower Request. Our new page for configuring Lacquered Glass Domestic Appliances is online. Now you can specify and inquire exactly the exact dimensions of your Lacquered glass kitchen back wall and holes for light switches and sockets. Here you can see a selection of the most commonly used showers - shower types. 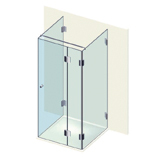 All showers are made of safety glass (ESG) 8 mm clear glass. Optionally, other types of glass, coatings, corner cutouts, motifs or else roof trimmings can be added. 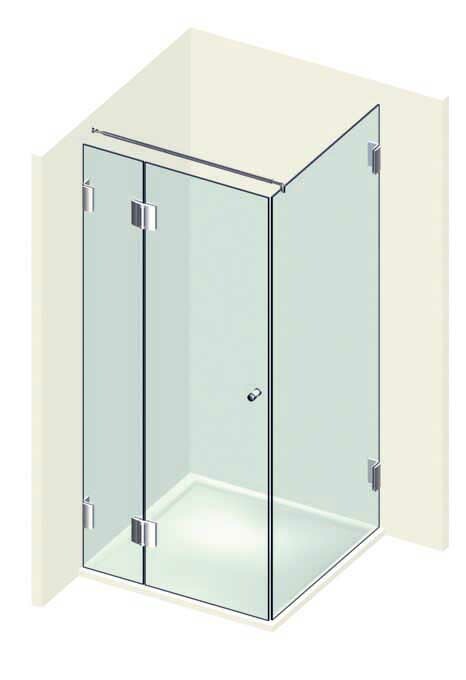 As a corner shower , niche shower or on the bath as bathtub screen - bath screen . Bathtub folding wall type 602 with two folding elements, folding inwards. Two parts. 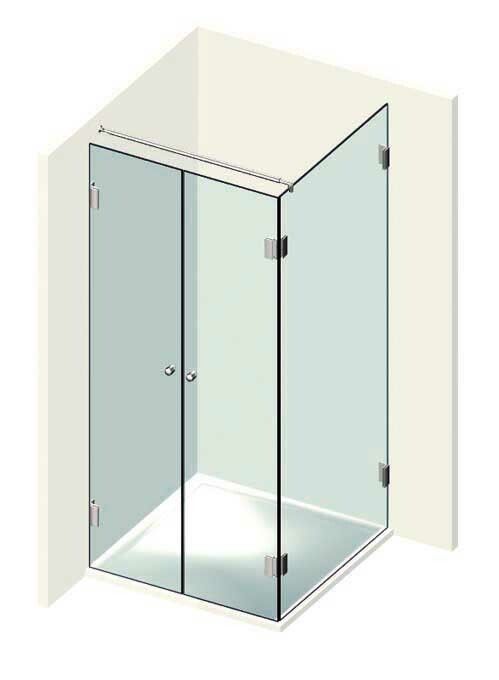 Niche shower type 102 with a shower door and opposite fixture. 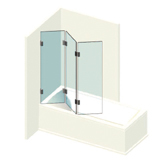 Corner shower type 202 with one shower door and opposite fixed element on side wall. 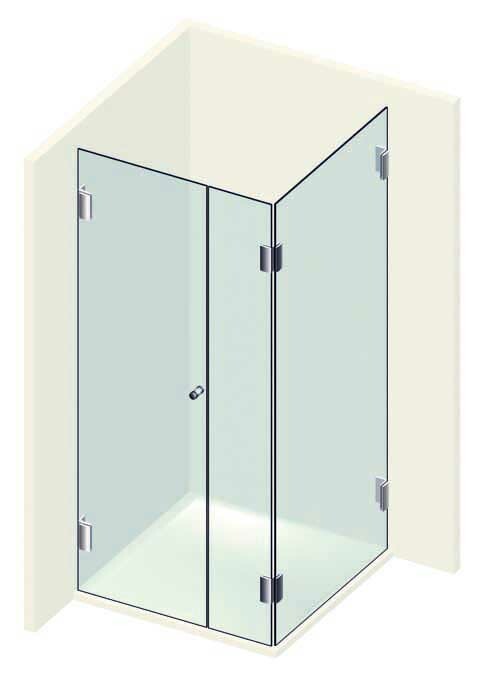 Corner shower type 210 with a shower door on the fixed element and opposite side wall. 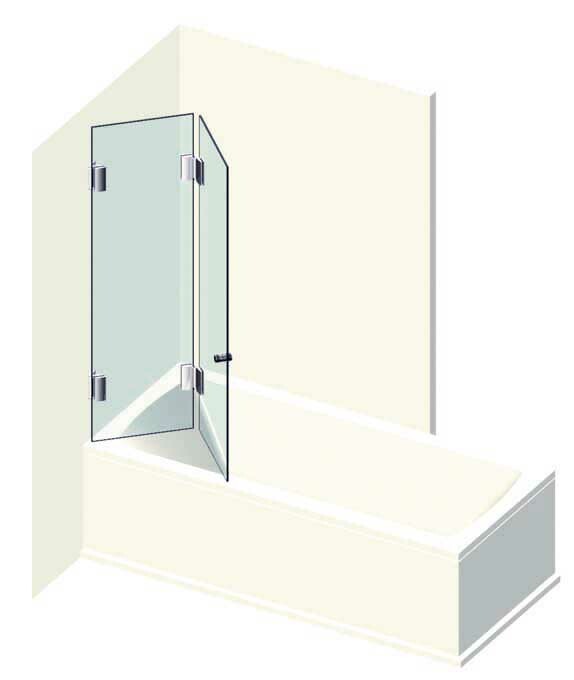 Bathtub folding wall type 613 with two folding elements hinged to 90° on a side wall. 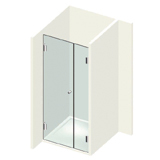 Corner shower type 211 with two doors and one side wall. Opening inwards or outwards. 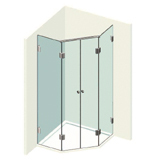 Niche shower type 103 with a shower door opposite a fixed element. Outward opening. 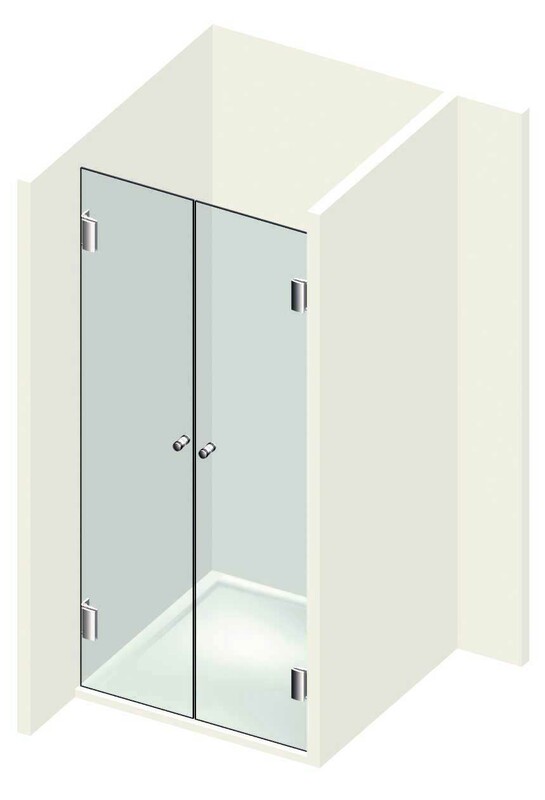 Niche shower type 107 with two shower doors. Folding inwards on both sides. Single glass, insulating glass, safety glass, glass repair and billing with insurance, wall mirror, bathroom mirrors, showers, all-glass systems, shop windows, toughened safety glass, toughened safety glass, partially tempered glass TVG, walk-in glass, parapet and overhead glazing, UV bonding, maintenance and care work. In the art glassworks we use very different techniques, including the melting of glass. Some of our techniques are: leaded glass, corundum or glass bead blasting, etching, step etching, ice blading, surface finishing, silver, gold and other metal plating, restoration, reconstruction, design, modern and historical motifs. In our Internet Shop let us present you different articles from our assortment. 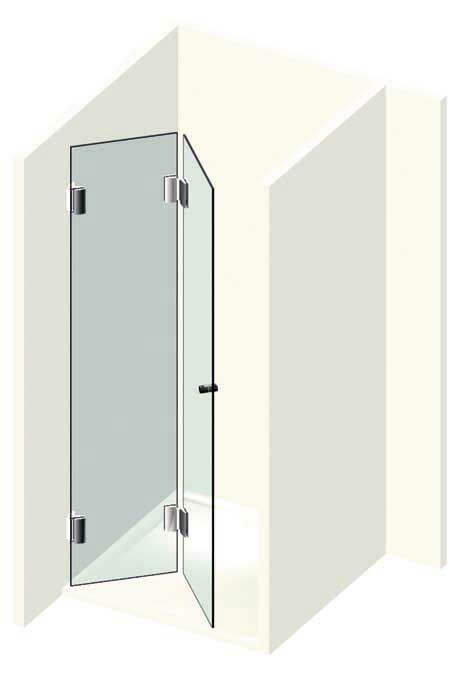 Washbasin showers, niche showers, corner showers, pentagonal showers, round showers, U-showers, bathtub foldings, shower seals, shower fittings, angle brackets, Pauli + Sohn shower fittings such as Flamea, Flamea +, Nivello, Nivello +, Farfalla, Pontere, Flinter, Pilango and sliding glass doors, wall mirror, bathroom mirror , Kitchen splashbacks and mirror mounts. For your repair, project plans and news to us you can use our contact form or email us at info@glastechnik-berlin.de.